The thought of a car accident is the worst nightmare of any driver. 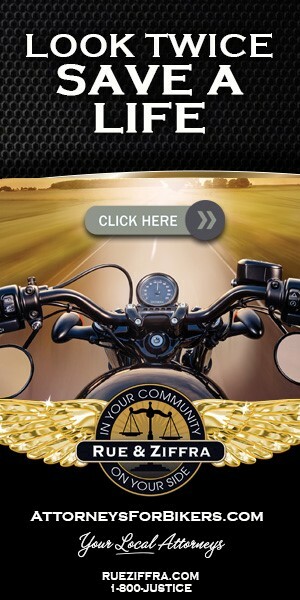 But an auto accident attorney will show you that thousands of U.S motorists are involved in crashes every single week. Your immediate concerns following an incident will revolve around your health and safety. However, you’ll also need to take the financial repercussions into account. If the accident was due to another driver’s negligence, filing a legal complaint against them is the most common solution. However, there are two words that can make the whole situation infinitely tougher: uninsured driver. This type of accident can encounter some complications. With the right automobile injury attorney by your side, it is possible to overcome those obstacles to gain financial justice. Here’s all you need to know about the complex situation. Most states require drivers to have automobile liability insurance. This is why you’d be forgiven for thinking accidents with uninsured drivers are non-existent. While that assumption would make sense on a theoretical level, the reality is far more complex. For starters, the legal requirements can vary from state to state. Here in Florida, the DMV requires all vehicles of four or more wheels to be covered. The coverage should include at least $10,000 for Personal Injury Protection (PIP). That $10,000 figure is also the minimum amount of Property Damage Liability (PDL). Depending on the driver’s history, it may be necessary to gain Bodily Injury Liability (BIL) coverage too. Nonetheless, there are still a number of issues that you could face. The most obvious problem is those motorcycle riders aren’t legally bound to have insurance in the same way as car drivers. While many are still responsible enough to protect themselves, there are several thousand that don’t. An even bigger issue comes from the fact that a lot of drivers take out policies to cover themselves through the registration process only. It’s not uncommon for drivers to cancel their premiums at the earliest stage, taking the risk in a bid to save money. National statistics suggest that this is the case for around one in seven road users, which is a figure far bigger than most people would assume. Those numbers can climb further still in times of economic troubles. Worse still, the uninsured drivers are often the most reckless. Therefore, the chances of being caught in an accident due to their negligence are worryingly high. While the severity of the situation should not be overlooked for a second, you must not spend your life needlessly worrying. The far better response is to take charge of the situation in a mature and responsible fashion. The first, and arguably most important, step is to get the right auto insurance in place. Not all car insurance plans are built equally. Opting for a basic package may save you a little money each month. Those small savings will feel like the worst decision of your life should you find that your accident isn’t covered by the terms of your agreement. Given that online price comparisons give you the best chance of reducing the premiums, comprehensive coverage is key. 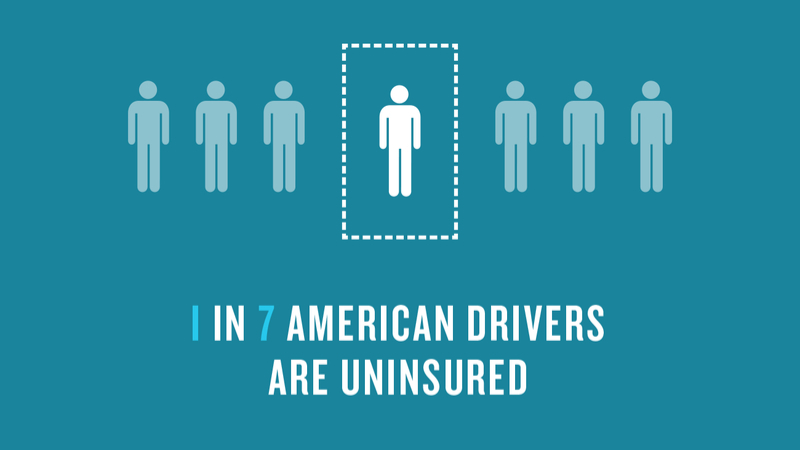 Uninsured Motorist Coverage: This add-on is specifically designed for those situations where drivers are involved in crashes with uninsured drivers. This allows you to double your damage liability coverage. So, if you’ve taken the minimum of $10,000 PIP and $10,000 PDL, you can add that much again. Underinsured Motorist Coverage: In addition to drivers without any insurance, you need to consider those that have an inadequate level of coverage. The main purpose of this is to cover the difference between their coverage and the total cost of damages. Even if it only amounts to a few hundred dollars, that safety net can make a big impact. Collision Coverage: This type of coverage will pay for the cost of repairing or replacing your vehicle following a crash with uninsured drivers. This also covers you on hit-and-run incidents. However, it is worth noting that this type of insurance won’t help with personal injury costs or loss of earnings. The right insurance won’t suddenly make you invincible, but it will go a long way to helping you through this potentially difficult process. Ensure that the vehicle is in good health. From choosing a car with strong IIHS safety ratings to keeping on top of basic maintenance tasks, a safer car means a safer you. Avoid all distractions while driving. These can range from text driving to drowsy driving. Keeping your undivided attention on the road is key. Pack a first aid kit, including a torch, so that you are ready for the initial aftermath of a collision. This includes keeping a spare cell phone handy. Drive in a safe and responsible manner. Anticipate bad drivers, and always keep your distance while on the road. Consider taking a defensive driving course to further develop your abilities behind the wheel. With those ideas in mind, you won’t only feel safer from reckless uninsured drivers. You should find that your general safety on the road is better than ever. Even with the right precautions in place, you cannot prevent all accidents. Moreover, even the best insurance coverage package won’t stop this being a scary situation. Thankfully, being equipped with a winning plan of action will reduce the fear. More importantly, it’ll help you achieve the best outcome in the most efficient manner. Check that you are OK. Your health comes first. Exchange details with the other driver, even when they aren’t insured. This includes taking their name, address, number plate, and other vital data. Wait for the police and other officials to arrive at the scene, and let them do their work. Make a record of the accident while it’s still fresh in the mind. This could become crucial evidence later down the line. Collect any damages due from your insurance company, especially when covered by those add-ons. Pursue damages from the driver at fault. The final point is quite a complex one that may require reading the Florida state rulings. Under normal circumstances, motorists can’t do too much. However, there are many exceptions noted in those official documents. If you do plan to sue, using an automobile injury attorney is always the best route to take. Does The Accident Warrant Legal Action? When suffering a major crash, taking the necessary legal action will be top of the agenda. But what about when the accident is only a minor one? Wouldn’t it be easier just to let it slide and take care of those minor damages without filing any claims? It can be tempting, but the damage can’t always be seen immediately. Problems with the car can become known once it has been checked by an expert. Meanwhile, personal injuries may be internal or mental rather than cuts and broken bones. As a general rule, it’s always worth pursuing the right course of action. Our auto accident attorney in Port Orange can help you with getting through this as easy as possible. Encountering a car accident involving an uninsured driver can be frightening. Nonetheless, with the right automobile injury attorney behind you, financial justice will be yours. In turn, this will allow you to focus on your health and return to driving.